With our inexpensive and easy-to-use system, the possibilities of your projects are as unlimited as your imagination. We've got you covered. We repair loose pages in books! For over 20 years, Cover One has been providing cities, agencies, schools, and more with a simple and reliable system for repairing books and preparing documents. Our products can complete your project or repair in minutes. With a budget-friendly price, your books can go from damaged and unbound to perfectly repaired in as little as 20 minutes. Made a mistake? No problem, with Cover One you can replace a sheet quickly and easily. Learn more about our user-friendly systems today. Bind up to 200 sheets at a time in a single step! With only 3 minutes of warm-up time, this machine takes merely 60 seconds to bound books with ease. The #250 machine can effortlessly bind documents of several sizes and is ideal for a medium-duty home, home office, or desktop use. 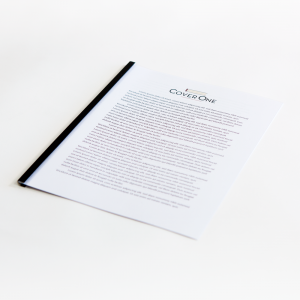 The CoverMate #520 will create durable and perfectly-bound books in the convenience of your school, office, or home. It repairs paper back and hardback books as well. 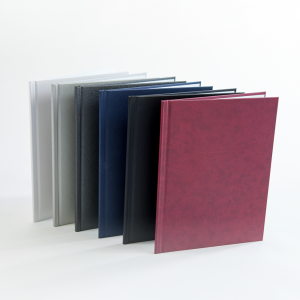 The #520 easily binds or repairs books up to 2” thick with a sliding wall to hold smaller books in place and will work with up to legal size books and covers. This machine includes a non-detachable stand. This product features solid-state electronics, automatic binding cycle timer, one button operation and no warm-up is required. The #620 Machine repairs all types and sizes of books. 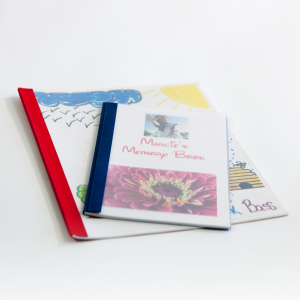 You can also create sturdy bound student writing projects in the convenience of your school. The #620 easily binds up to a 2 ½” thick document or book with a sliding wall to hold smaller documents and books in place. It will work with up to legal size items. 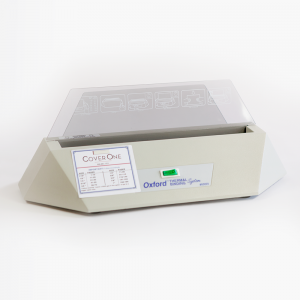 This machine features a cooling stand, solid-state electronics, automatic binding cycle timer, one button operation and no warm-up is required. Product includes machine and cooling stand only. Our White Hinge Repair Tape is for hardbacks and inside book repair. 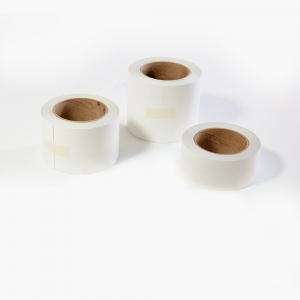 This High-Tack Tyvek® Adhesive Tape has an exclusive 1/8″ Peel ‘n Place® Centering Strip and also includes white opaque tape that covers old repairs, reinforce hinges, reattach book block to cover, and can hide security strips. The price includes one roll. Glue Strips are used to repair textbooks, paper back, and hard-back books. Each strip will repair from 3-5 books, depending on the spine width/length. Glue strips are measured and cut with ordinary scissors to fit just short of the length of your spine. Don’t throw away those scraps, no matter how small they may seem! Scraps of your glue strips are saved and then used to repair smaller books, or can be combined to repair larger books. This is where your average cost of 25¢ per book comes in! Each hard cover will come with a laminator pouch label for decorating front covers as shown. This product comes in navy blue and has a spine size of 1/8″, which fits 11-20 sheets of paper. Product is sold in bulk quantities. Spine sizes 1/16″ – 5/16″ are sold in boxes of 100, and spine sizes 3/8″ – 1 1/2″ are sold in boxes of 50. Repair and reinforce both book spines and covers with Kapco’s clear, polyester Spine Repair Tape. This tape is acid free, has non-yellowing adhesive, and is good for hardbacks, paperbacks, magazines, maps, folders, large documents and more. It comes with an exclusive 3/8″ Peel ‘n Place® centering strip. Our lifetime warranty is unconditional and one of a kind. Our customer service has lasted the test of time. We keep items stocked so you get them when you need them. We process your orders quickly so you don't have to wait. ©Cover One 2017. All rights reserved.